I'm using a mixture of The Sims 3 BACC Challenge by carizzo8, The Build a City Challenge posted by pnkpnthr334 originally by clintcasey85 and Nothing is Free over on Mod The Sims by Avalikia. I thought I should type up the rules I play by to be more focused and I've also tried to update it for EP and to make it fairer. This way works for me. You can find blank Riverview and Sunset Valley neighborhoods available for download on ModTheSims. You WILL need an account, but the downloads are free. Save all community lots to your Sim Bin. (You can also save any residential lots to your Sim Bin that you would like to use during the challenge.) You aren’t restricted to using only Sunset Valley lots. Feel free to add community lots to your Sim Bin from Riverview or other neighborhoods. I personally just do it manually but there are other options if you don't want to do that. Delete all community lots except community lots that are part of the natural landscape. They will not count as community lots, just other lot types, until bought by a household but we shall get to that later. Create a single Sim to be your founder and move them into a lot. The Sim can be made however you choose (looks and personality) and their home lot can be any size (the smaller the better since money will be tight). You may create a single dog, cat, OR horse with your founder. * Your Sim can’t have a job so decide how you will earn money and pay bills. * Keep an eye out around town for Townies so you can meet them and move them in to the neighborhood. *Story Progression OFF – As your neighborhood expands, you must play EVERY household for the same amount of time. *Story Progression ON – Change households at will for the duration of the challenge. Play out the lives of Sims you find interesting, strategically choose to play Sims whose lifetime wishes or developed traits could advance the community in some way, or simply free play for fun. It is recommended that you play this challenge either at the Default Lifespan (Normal/90 Days) or the Long Lifespan (Long/190 Days). However, you can choose any lifespan you want. As long as you stick with this lifespan throughout the challenge. * By meeting and befriending eligible Service NPCs / Townies and moving them into an existing household by marriage. Do not worry about all the jargon. At the start of the challenge you are more likely to increase the population as your founding family grows through adding new family members through marriage (or even just new room mates) and adding children to the world. Wait until the household has at least 10,000 in cash on hand. If you have more than 10,000 and want to leave the household you are moving from with some of the money, purchase items that are worth the approximate value that you want to leave with the household. You can sell these items back when you return to the lot. Select the Sim you want to move and use the Cell phone from personal inventory to initiate the Move. Note, that the Sim will need more than 10,000 simoleons if there is already a house on the lot as it will likely cost more to purchase. Make this Sim the active household by clicking the Active Household check box. This will transfer the funds to the moving Sim so they have enough cash to build their home. You will earn one community lot for every 4 Sim Households... for each community lot you earn 1 CAS Sim. So after you have your first four households you can use that CAS point straight away to add a 5th household or save CAS points away for later to add bigger families all at once. You will also earn CAS points for unlocking certain aspects of the challenge. *"Business Districts: You unlock a business district by having 5 player owned community lot businesses of any rank, and having the Business Career unlocked (rules in the career section). You MAY earn multiple business districts. To do this you will need 5 additional businesses on community lots and another Business Tycoon. For example: If you want to add a 2nd business district you’ll need 10 community lot businesses and 2 Business Tycoons; to add a 3rd you’ll need 15 businesses and 3 Business Tycoons, etc. In addition to adding to your SM, for each business district you also earn 5 CAS Sims." The only difference being that instead of ranking a business to level 10 (impossible in TS3) Several community lots have to be at max level: 3 for businesses, 5 for resorts and this needs to total 10; example, two 5 star resorts (equals 10) or four 3 star businesses (equals 10 but surpasses the 10 needed) or a combination of the two. ONLY complete stars, do not include 1 / 2 star to pad it out. Taxes: At the end of the week / rotation the tax man rubs his palms together. If you are playing each family then you'll be able to tax each family at the end of their play. 5% of the Furnished / Unfurnished value of the house. School fees / University Tuition: When a school is unlocked and placed in your neighbourhood, private school is also available if that is how you want to play. The amount of the private School fee is paid on the child being sent away, keep note of this as this can go straight to the tax fund pot. However, your sim will need to re-pay this every rotation that child is away, even if it is just for a day. Once a University is unlocked the cost of tuition goes towards the tax fund. Any grants or extra money taken out on campus must be deducted from the tax fund (so no free money!) They must pay this back once they are able to. If you are particularly greedy you can add interest every rotation. Public school is free. Trips abroad: Once you have earned an airport your sims may travel the world. The cost deducted to go on holiday is added to the tax fund so take note of how much each adventure costs. Every 4 households earn 1 free Community Lot. Every Community Lot earns 1 CAS point. Every 5 Community Lots earns 1 SM point. Extra little squiggly bit around the edges of this for certain aspects. At the beginning of the challenge almost everything is locked. But as you progress you will unlock certain additions! carizzo08 wrote:At the beginning ALL careers are locked, meaning no job for your founder. You must find other ways to make money (painting, novels, music, gardening, scavenging, etc.). This section describes how to unlock each career. * A Locked Career is unavailable to Sims in your neighborhood. * A Partially Unlocked Career has a certain number of open positions that become available based on criteria stated below. The associated building can be placed in the neighborhood as soon as the objectives have been met and an earned community lot is available. * Open Positions are not restricted to the Sims who unlocked them. Any Sim in the neighborhood can apply for an open position. * An Unlocked Career is available to all Sims in your neighborhood. Some careers are never fully unlocked. When a venue that allows performances is added, one position opens. It is unlocked when a Sim reaches the top of the career. Once City Hall is unlocked and placed in the city and a Sim has completed the associated challenges with the Alchemy Skill a position as an alchemist is unlocked. This career has many positions but is never truly unlocked. A sim can still earn money through selling potions but can only join the career if a space is available. Possible to unlock positions before placement of City Hall, deceased sims maxed and completed challenges can count. Once City Hall is unlocked and placed in the city and a Sim has completed the associated challenges with the Fishing Skill a position as an angler is unlocked. This career has many positions but is never truly unlocked. A sim can still earn money through selling fish but can only join the career if a space is available. Possible to unlock positions before placement of City Hall, deceased sims maxed and completed challenges can count. Once the City Hall has been placed and there are 5 households in town, a position opens up. For every 5 households there is another position added. It is unlocked when a Sim reaches the top of the career. Builder, Marathon Runner, and Fitness Nut). It is unlocked when a Sim reaches the top of the career. When a venue that allows performances is added, one position (one band counts as one position, there can be as many members of that band as you want) opens. It is unlocked when a Sim reaches the top of the career. The Business Career track is locked until a sim owns enough businesses for it to be level 10: so either two 5 star resort totalling 10) or four 3 star businesses (totalling 12 but surpassing 10) or a combination of the two. This is only available to that sim family, families can not work towards this together. It is unlocked when a Sim reaches the top of their career. Criminal and Law Enforcement careers. The Criminal career is never truly unlocked, but can have many open positions. The Culinary Career earns an open position for each player who completes all the cooking skill challenges (e.g. Star Chef, World-Class Chef, and Menu Maven). It is unlocked when a Sim reaches the top of the career. After 50 sims have been born naturally in the city, a position unlocks. Another at 100, 150, 200 etc. Unlocked when sims reaches the top of that career. At a population of 250, one position opens up. An additional position will be opened for every 250 population (500, 750, 1000, etc.) Education is unlocked when the career is topped. One position is open for every level 5 celebrity. It will never truly be unlocked, but can have multiple positions open. One position opens after 3 fires. Another position opens at double the previous number (6, 12, 24, 48 etc) unlocked when a sim reaches the top of the career. For every 5 Supernatural sims in the city a position opens. Unlocked when a sim reaches the top of the career. Once City Hall is unlocked and placed in the city and a Sim has completed the associated challenges with the Gardening Skill a position as a gardener is unlocked. This career has many positions but is never truly unlocked. A sim can still earn money through gardening but can only join the career if a space is available. Possible to unlock positions before placement of City Hall, deceased sims maxed and completed challenges can count. When the Science Department is added, one position will open for every 5 graves in the town. Another position is opened for every 5 graves thereafter. It will never be unlocked but can have many open positions. When there are 5 horses aged adult and above owned by families in the city a position opens. Another at 10, 15, 20 etc. Unlocked when a sim reaches the top of the career. Once City Hall is unlocked and placed in the city and a Sim has completed the associated challenges with the Inventing Skill a position as an inventor is unlocked. This career has many positions but is never truly unlocked. A sim can still earn money through inventing but can only join the career if a space is available. Possible to unlock positions before placement of City Hall, deceased sims maxed and completed challenges can count. When the police department is unlocked, one position opens. It is unlocked when a Sim reaches the top of the career. When the town reaches a population of 1,000 the first position in Journalism is unlocked. An additional open position is added for every Sim who reaches the top of ANY career increasing the number of newsworthy Sims in the community. It is unlocked when a Sim reaches the top of the career. Once City Hall is placed a number of positions open depending on the number of beaches in the city. If your city has 3 beaches there are 3 positions available. Once a sim reaches the top of the Lifeguard career this number doubles (so you would have 6 open positions) and so on. When 5 sims reach the top of this career it is unlocked fully. The first position in the Medical career is unlocked when the town population reaches 1,000. An open position is created for every 5,000 residents and an additional position is opened every 5,000 after that. The career as a whole is unlocked when the town acquires a university. The Music Career earns an open position for each player who becomes a Master Guitarist. It is unlocked when a Sim reaches the top of the career. Once City Hall is unlocked and placed in the city and a Sim has completed the associated challenges with the Nectar Making Skill a position as a Nectar Maker is unlocked. This career has many positions but is never truly unlocked. A sim can still earn money through selling nectar but can only join the career if a space is available. Possible to unlock positions before placement of City Hall, deceased sims maxed and completed challenges can count. Once City Hall is unlocked and placed in the city and a Sim has completed the associated challenges with the Painting Skill a position as a painter is unlocked. This career has many positions but is never truly unlocked. A sim can still earn money through selling paintings but can only join the career if a space is available. Possible to unlock positions before placement of City Hall, deceased sims maxed and completed challenges can count. Once City Hall is unlocked and placed in the city and a Sim has completed the associated challenges with the Photography Skill a position as a photographer is unlocked. This career has many positions but is never truly unlocked. A sim can still earn money through selling photographs but can only join the career if a space is available. Possible to unlock positions before placement of City Hall, deceased sims maxed and completed challenges can count. Politics is completely unlocked as a career choice when the town reaches a population of 1,000 but it is only available to one Sim at a time level six and above (Local Representative). 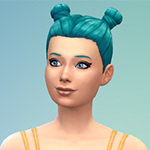 A Sim is eligible to enter the political career if they have achieved the Celebrity charisma skill challenge plus any one of the other four remaining Charisma challenges (e.g. Personable, Super Friendly, Everybody’s Best Friend or Comedian). A Science Career position will be earned every time any Sim transitions into Young Adulthood with maxed Logic. An open position is created for every 3 electrocutions by electronics. It will never be unlocked but can have many open positions. Once City Hall is unlocked and placed in the city and a Sim has completed the associated challenges with the Sculpting Skill a position as a sculptor is unlocked. This career has many positions but is never truly unlocked. A sim can still earn money through sculpting but can only join the career if a space is available. Possible to unlock positions before placement of City Hall, deceased sims maxed and completed challenges can count. When the salon is added, one position opens. It is unlocked when a Sim reaches the top of the career. Part-time jobs become available to any Sim once the related lot has been placed in your City. Sims can apply for part-time jobs at the Graveyard, the Bookstore, the Grocery Store and the Day Spa. Sims may open a daycare as soon as City Hall has been added. Once City Hall is unlocked and placed in the city and a Sim has completed the associated challenges with the Writing Skill a position as a writer is unlocked. This career has many positions but is never truly unlocked. A sim can still earn money through writing books but can only join the career if a space is available. Possible to unlock positions before placement of City Hall, deceased sims maxed and completed challenges can count. * For the social/ Elite careers I'm not actually sure if there is an associated building / rabbithole. I'm presuming there is but I don't know what is what. This is where I begin to bring in some of the Nothing is Free challenge from Mod The Sims. Remember, you earn one free community lot for every 4 households, as long as it is unlocked you can place it in your city for absolutely free! I generally mix it up between [url=web/20150209203241/http://boolprop.prophpbb.com/topic629.html]TS3[/url] or [url=web/20150209203241/http://www.modthesims.info/showthread.php?t=468464&c=1&ht=&page=1&pp=25]Nothing is Free (NIF)[/url]. As long as you meet one or the other it is fine. It works so that as long as you can afford it you can buy it to make it similar to TS2 but you do have to earn it. For lots that have no money requirements you have to wait until your free community lot so you have to think of strategy. For buildings that have several maxed skills needed this can be a joint effort of active players of the household, no deceased sims maxed skills count. If a sim moves out that is fine, as long as they were in the house when the lot was purchased. Brought from the old boolprop forums. Sorry about formatting and all that. I think careers may have been missed so do post suggestions if you play this version!